Halloween isn’t just for little princesses, ghosts, and pirates anymore. It has become the second highest grossing commercial holiday in the United States, second only to Christmas. Adults and college students alike enjoy dressing up and attending costume parties and other Halloween themed get-togethers. Unfortunately, they often combine those festivities with alcohol, then make the inexcusable choice to drink and drive and potentially to an unfortunate Halloween car accident. According to the NHTSA, drunk drivers kill more than three times as many people on Halloween as they do on New Year’s Eve. Between 2007 and 2011, 52 percent of all accident fatalities in the U.S. on Halloween involved a drunk/impaired driver (National Highway Traffic Safety Administration). Sadly, the scariest part of Halloween isn’t horror movies or monster masks. It’s not even tainted candy. The scariest part of Halloween is the epidemic of Halloween drunk and impaired driving and the increased number of fatal automobile and pedestrian accidents they cause. Adult partygoers must designate a sober driver before they attend Halloween parties where alcohol is being served, or choose to forgo alcohol altogether. If you or your loved one has been the victim of a drunk or impaired driver on Halloween, please contact the experienced, caring personal injury attorneys at Hardy, Wolf and Downing. Halloween is a time for making memories and celebrating with your family. It should never be a drunk driving nightmare. 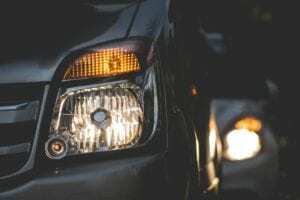 Drunk drivers should be held accountable for their injurious actions, and our experienced Maine personal injury attorneys will always be strong advocates for you and your rights. Yet another frightening and dangerous trend surrounding Halloween drinking and driving has emerged in recent years. Statistics show it’s not just adults and college students who are causing automobile accidents and fatalities by drinking and driving on Halloween. An annual survey of U.S. youths noted that three-fourths of 12th graders, two-thirds of 10th graders and approximately 2 out of every 5 8th graders have consumed alcohol. To make matters worse, these underage drinkers often binge drink (defined as having 5 or more alcoholic beverages one particular occasion). Many of those underaged drinkers have licenses. If they choose to drink and drive on a night full of little trick or treating pedestrians, there can be tragic consequences. Some parents have been known to turn a blind eye to teen drinking on Halloween, contending that their teenager’s drinking is simple “harmless fun”. These parents and underaged drinkers couldn’t be more wrong. Teenaged drivers are at a much greater risk of causing serious automobile accidents without the added danger of alcohol impairment (CDC Fact Sheet on Teen Drinking and Driving). We must get serious about drunk driving, not just on Halloween, but at all times of the year. Educate your children about the dangers of underage drinking. Don’t ever allow underaged drinkers to “party” at your home, and keep tabs on the types of parties your teens are attending. The Substance Abuse and Mental Health Services Administration (SAMHSA) has excellent tips for talking with children as young as nine about the dangers of underage drinking. Their motto, “Talk. They Hear You”, encourages parents to discuss underage drinking with their children openly and honestly. The website is an excellent resource for parents who don’t know how to bring up this tough subject. It offers tips to help parents recognize if their children are drinking, suggestions on how to answer tough questions about the dangers of alcohol, and suggests many age-appropriate conversations you can have with your children about alcohol to help keep them safe. Keeping our children and communities safe on Halloween involves a strong commitment by young adults and their parents to stop Halloween drinking an driving and underage drinking. If you have been injured as a result of a drunk or impaired driver, please contact the personal injury attorneys at Hardy, Wolf and Downing. We will evaluate all aspects of your case, and are committed to helping anyone injured in a Halloween drunk driving accident secure the justice they deserve.